A man has admitted killing Lancashire mum Nicola Haworth. Gary Fletcher, 34, appeared by video link at Preston Crown Court where he pleaded guilty to Nicola’s manslaughter - but denied her murder. Nicola (33) was found dead at her home in Wilton Street, Burnley, on Friday, July 22nd. A post-mortem examination concluded her death was caused by asphyxiation. Fletcher, also of Wilton Street, spoke only to confirm his identity and answer the charges during the 10 minute hearing. He pleaded not guilty to murder but guilty to manslaughter by diminished responsibility. He also admitted a charge of child cruelty. Following his pleas, members of Nicola’s family sobbed in the public gallery, while a timetable was set out for legal proceedings. 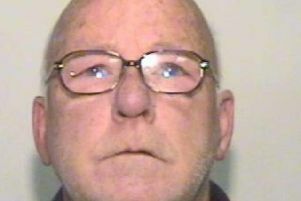 Fletcher will stand trial for murder at Preston Crown Court on January 12th in a trial expected to last a week.